Shellback Caribbean Rum today announces its partnership with emerging Nashville singer and songwriter Jared Ashley, who will serve as an ambassador for the brand. Named for the brotherhood of mariners who have voyaged across the Equator, Shellback Rum is inspired by these sailors’ sense of camaraderie and adventure. As someone who achieved the distinction of becoming a shellback, Ashley will join Shellback Rum to honor this proud naval tradition and the spirit it represents. Before becoming a finalist on season four of USA Network’s “Nashville Star” and gaining national recognition for his talents, Ashley served in the United States Navy aboard the USS Independence and USS Kitty Hawk aircraft carriers, during which he achieved the shellback accolade in 1999. It was during his service’s long trips out to sea that Ashley cultivated his musical talent and, at the encouragement of his shipmates, began performing. Ashley has been recognized as the Regional Act of the Year winner and Country Male Artist of the Year nominee at The Georgia Country Music Awards. 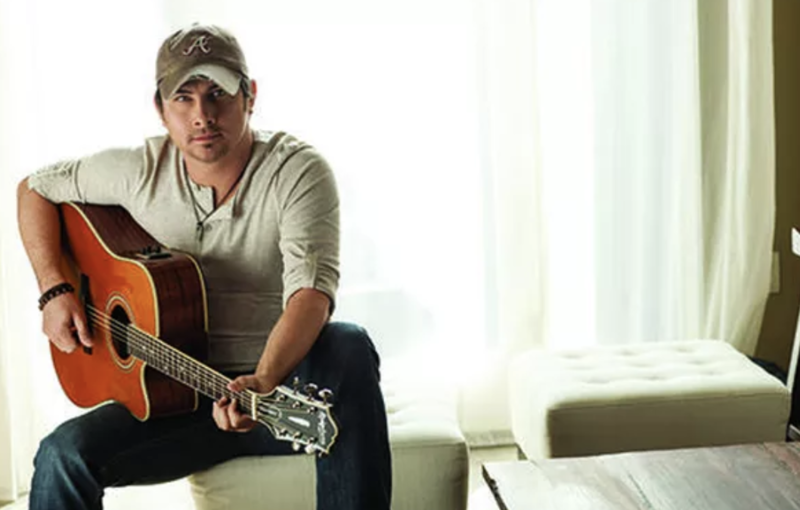 After releasing his well-received debut self-titled album in 2011, featuring the radio single “Last Train To Memphis,” Jared was signed to a deal with Blaster Records, also home to Montgomery Gentry, Chuck Wicks, Aaron Lewis, and Jack Ingram. In his new role for the brand, Ashley will share how he uses Shellback Rum to celebrate good times by creating signature cocktail recipes for the brand. Shellback Rum will be featured at select concerts and events that Ashley is a part of in Nashville, Tennessee, as well as events held by the U.S. Navy Flight Deck Veterans Group, a charity founded by Ashley. Shellback Rum is an award-winning Caribbean rum, available in both Silver and Spiced varieties. Each varietal is available nationally for a suggested retail price of $16.99 for a 750mL bottle. For information on Shellback Rum and its collaboration with Jared Ashley, please visit www.shellbackrum.com or www.facebook.com/ShellbackRum. The taste of the Caribbean pursues a modern progression with the debut of Shellback Rum, named after a proud naval tradition in which the title of “Shellback” is awarded to courageous sailors who have successfully crossed the equator. Available in two expressions, Silver and Spiced, Shellback Rum is produced at the century-old West Indies Rum Distillery (WIRD) on the island ofBarbados, the birthplace of rum. Both expressions are a blend of continuous and pot still components featuring neutral, heavy and aged light rum. Adding further depth to the final Shellback Spiced blend, a portion of the rum spends a minimum of 12 months in once-used American bourbon barrels. Shellback Rum is available nationally. The suggested retail price of each expression in the 750mL size is $16.99. For more information, visit www.shellbackrum.com. Rum, Alcohol 40% by Volume (80 proof) ©2013 Grand Antilles Cane Spirits, Modesto, CA. All rights reserved.